When illiterate mason Jalaluddin Shaikh sought a better life seven years ago, he journeyed nearly 2,500 km south from his home in Murshidabad, Bengal, to this riverine town in the greater Kochi agglomeration, known for its farm produce, plywood and sundry small-scale industries. Jalaluddin’s life worsened in June 2017, when the Goods and Services Tax (GST)--widely criticised for its hasty, often chaotic, implementation--came into effect. With the absence of cash and the complexities of the GST, business dropped and uncounted industries closed. The downturn was exacerbated by tensions in the Arabian Gulf--the source of 36% of Kerala’s income--when many Arab countries turned against Qatar. That crisis was preceded by a general slowdown in the Gulf states since 2010, when the price of oil had dropped. As wages went unpaid and jobs and incomes were lost in the Gulf, Kerala’s construction industry suffered, as did opportunities for migrants in Kerala. Here in India’s seventh-richest state by per capita income, 2.5 million of 33 million people--one in 14--were migrants, according to a 2013 study by the Gulati Institute of Finance and Taxation for the Kerala labour department. Mostly manual labour, they sent Rs 17,500 crore home every year. The government now believes about a million migrants are left, a quarter of the number projected for 2018. Although some questions were raised over the study’s accuracy, it is the only available data on migrants like Jalaluddin. When we met him, Jalaluddin was standing stone-faced, waiting for increasingly scarce work at a marketplace called Gandhi Bazar, one of Kerala’s largest labour hubs. Dressed in a bright, yellow shirt and stained black trousers, Jalaluddin--now a skilled mason--explained how his income had dropped about 27% to Rs 16,000 per month since demonetisation. “Earlier I used to get work almost every day,” he said, with some agitation. “Now it has reduced to three or four days a week at best." Jalaluddin lives frugally--paying Rs 750 for a room that he shares with seven other workers in a Bengali-dominated neighbourhood--and works long hours, leaving home at 4:30 am and returning around 6 pm--if he finds a job. Otherwise, he waits until 9 am, when the market clears out. Jalaluddin’s remittances to his wife and two daughters back home have dropped by a third, and when we met him between 7:30 and 8 am, he was, like other workers--mostly Bengalis and Assamese--still waiting to be picked by a labour contractor. This is the third of an 11-part series (you can read the first part here and the second part here), reported from nationwide labour hubs--places where unskilled and semi-skilled workers gather to seek contract jobs--to track employment in India’s informal sector. This sector, which absorbs the country’s mass of illiterate, semi-educated and qualified-but-jobless people, employs 92% of India’s workforce, according to a 2016 International Labour Organization study that used government data. By delving into the lives and hopes of informal workers, this series provides a reported perspective to ongoing national controversies over job losses after demonetisation and GST. The number of jobs declined by a third over four years to 2018, according to a survey by the All India Manufacturers’ Organisation, which polled 34,700 of its 300,000 member-units across the country. In 2018 alone, 11 million jobs were lost, mostly in the unorganised rural sector, according to data from the Centre for Monitoring Indian Economy (CMIE), a consultancy. Gandhi Bazar is a man’s place. There are no women or items used by women in the market--no sarees or bangles. Under blue tarpaulin, stalls of sugarcane juice, jalebi, samosa, pan masala, beedi and other cheap products exhibit their wares. “The [Qatar] crisis has affected the real estate and construction industry badly, and as it was the source of funds for many, demand has shrunk critically,” said Vinodh Paul, a marketing and leasing consultant based in Calicut. “Demonetisation and GST had affected investor confidence rather badly; add the advent of the Real Estate Regulatory Authority (RERA) and its stringent norms, and now developers are wary, too." “RERA is a good thing, but it has frozen construction in Kerala,” said Paul. The real-estate slowdown hit the plywood industry, which hires fewer migrant labourers in areas such as Perumbavoor. The plywood industry in India is estimated to be worth around Rs 12,000 crore, with 70% of businesses in the unorganized sector. 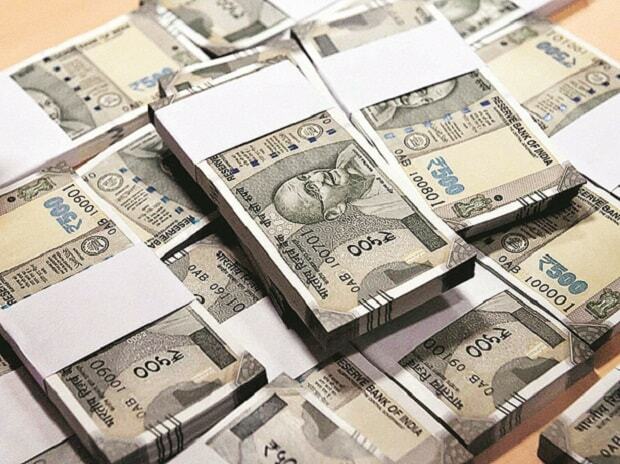 Of this, Rs 1,000 crore comes from Kerala, which, according to SOPMA, had 1,250 wood-based units, 350 plywood manufacturers and 458 veneer manufacturers registered in 2018. The number of daily-wage workers in these industries is unclear, but are estimated to be in the thousands. “Migration has been a significant catalyst in Kerala state’s economy,” noted Benoy Peter and Vishnu Narendran from the Centre for Migration and Inclusive Development (CMID) in a 2016-17 study, ‘God’s Own Workforce: Unravelling Labour Migration to Kerala’. Tareef Ahmed, 27, who owns a gents’ saloon--with a missing ‘T’--in Gandhi Bazar, rued the growing absence of the Assamese and Bengalis. “Both have vanished,” he said. Those who remain, such as Raju (he does not use a last name), struggle along. After demonetisation, his income is down to less than Rs 4,000 from a peak of up to Rs 12,000 a month--although he said wages had not changed--and he finds a job on about two days per week, at best, down from five. Other daily-wage labourers at Gandhi Bazar also said wages remained largely unchanged after demonetisation since job rates were decided by labour unions. However, with the decline of the construction sector--including plywood and timber--the number of jobs reduced.